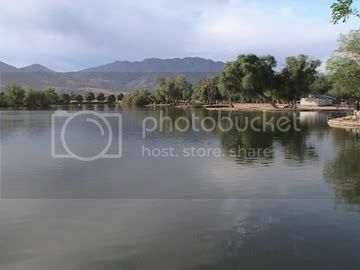 Hesperia Lake is located in the city of Hesperia in San Bernardino county. This lake is well stocked with good size rainbow trout and channel catfish. 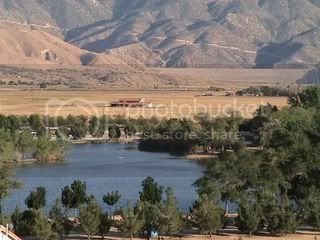 Hesperia Lake is open for fishing every day. Winter fishing hours are from 6:00 a.m. to 10:00 p.m. Sunday through Saturday. Two sessions are offered daily; 6:00 a.m. to 5:00 p.m. and 1:00 to 10:00 p.m.
A fishing license is not required. Hesperia Lake is a pay-to-fish lake. Adults pay $12.00 per session and have a five (5) fish limit. Those fisherman who wish to stay for the second session may fish for $10.00 and have a five (5) fish limit. Hesperia residents can fish Monday through Thursday for $10.00 and still have the five (5) fish limit. Proof of residency is required. Seniors can fish Monday and Thursday, excluding holidays, for only $7.00 and still catch five (5) fish. Children 10 years and under can pay the adult rate or pay $3.00 and catch two (2) fish. Please register at the Lake Store before going to the lake. There is also a full service tackle shop for most of your tackle needs.